[19:07] <+Lee_Szczepanik> Name is self explanatory. I’m one of the owners and the Production Manager for Daring Entertainment. We’ve been around since 2006, when we used to be known as Arbor Productions. We’ve worked in the M&M Superlink license (from 2e M&M), and are best known for the War of the Dead product line in Savage Worlds. [19:08] <+Lee_Szczepanik> I’ve been an author in one form or another for over 20 years, and in RPG development for about 8 years now. [19:09] <+Lee_Szczepanik> Daring Comics is our latest offering, which takes the Fate Core system as well as some elements from Fate 3.0 (such as definitive uses for Shifts in some powers) and is designed to emulate Comic Books in Fate. 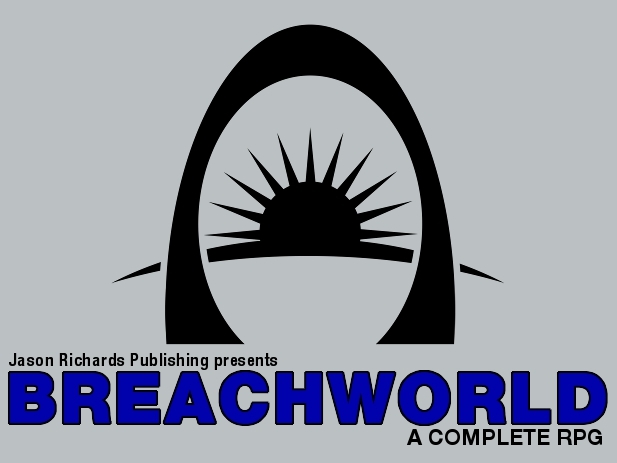 [13:04] <+JasonRichardsPublishing> I’m Jason Richards, of the conveniently named Jason Richards Publishing, author of the now-Kickstarting Breachworld RPG. You may know my work from Palladium Books, where I have worked as a freelancer of some stripe for 17ish years. (13:06:52)<JeffDee>Hi, I’m Jeff Dee. A lot of people know me as an artist from the early days of AD&D. Others know me as the co-creator of the Villains & Vigilantes superhero RPG. These days I run my own RPG publishing company, UNIgames. (13:06:55)<Silverlion>For everyone else #rpgnet2 is open for general discussions..
(13:08:22)<JeffDee>UNIgames in based in central Texas. Our first product was our compact universal rules system, Pocket Universe. Its been selling on RPGNow since 2000. (13:09:03)<JeffDee>Since then we’ve published two campaign supplements for Pocket Universe, ‘Teenage Demon Slayers’ and ‘Quicksilver’, our fantasy RPG. (13:09:53)<JeffDee>Our most recent gave is Cavemaster, a paleolithic RPG that you play with handfuls of rocks, just as our primitive ancestors did. (13:10:23)<JeffDee>We’ve just launched a Kickstarter for our next game, Bethorm: the Plane of Tekumel. [19:04] <+JabberwockyMedia> I am Nathaniel Torson, of Jabberwocky Media. Currently we have three games in development: Void Hunters, a seventies style RPG (in the initial design stages), Quarterback Blitz, a tabletop miniatures football game and, For Glory, which is the main subject for tonight. [19:03] <+BPIJonathan> an imminent release for Savage Worlds, and one upcoming for Mongoose Traveller. 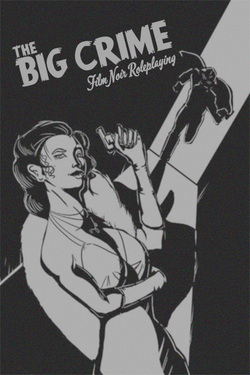 [18:59] <+CynthiaCelesteMiller> I’m Cynthia Celeste Miller, the designer of the new film noir RPG, The Big Crime. [19:00] <+TheMorrowProject> Hi. I’m Chris Garland President of TimeLine Ltd. publishers of The Morrow Project. We just recently released the fourth edition of The Morrow Project.